Welcome to the Website of J.P. Fitzpatrick & Company Solicitors. 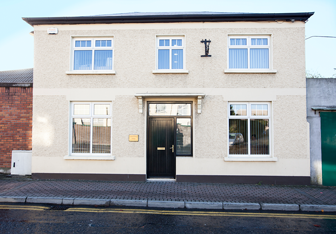 J P Fitzpatrick & Company Solicitors are an established law firm based in Portlaoise Co. Laois. We act for a range of clients who require legal assistance. We attend each session of both the district and also circuit court in Portlaoise. Our aim is simple. We aim to provide our clients with the best legal advice and put their interests first. Representation in criminal matters at all court levels including all legal aid matters.